There’s growing evidence that asparagine diets can alter cancer’s growth and spread, Cambridge scientists say. Animal research showed breast tumors actually struggle without the dietary nutrient asparagine. Asparagine is an amino acid — a building block of protein. It derives the name from asparagus. It’s found in a variety of favorite foods, such as poultry, seafood, asparagus, and other foods. A new study, conducted at the Cancer Research UK Cambridge Institute, took place on mice with an aggressive form of breast cancer. This recent study focused on asparagine diets and the possible spread of breast cancer. Normally, the mice would die in a couple of weeks as the tumor cells spread throughout their bodies. However, when the researchers gave mice low asparagine diets or drugs to block asparagine, the tumor cells struggled to spread. Lead scientist Professor Greg Hannon told the BBC. “It was a really huge change, [the cancers] were very difficult to find. Our work has pinpointed one of the key mechanisms that promotes the ability of breast cancer cells to spread. When the availability of asparagine was reduced, we saw little impact on the primary tumor in the breast, but tumor cells had reduced capacity for metastases (spread) in other parts of the body. An initial tumor is seldom deadly. It’s when the cancer spreads throughout the body — or metastasizes — that it can become fatal. A cancerous cell must go through huge changes in order to spread. According to the latest scientific research, a cancerous cell must learn to break off the main tumor, survive in the bloodstream and eventually thrive somewhere else in the body. Researchers think this process is necessary for asparagine. Confirmation of these latest findings pertaining to asparagine diets and the spread of cancer in humans is necessary. Eventually, scientists think patients will be placed on special drinks that are nutritionally balanced — but lack the amino-acid asparagine. Professor Charles Swanton, Cancer Research UK’s chief clinician adds the following. Many foods contain a protein building block that could promote the spread of breast cancer, researchers discovered. 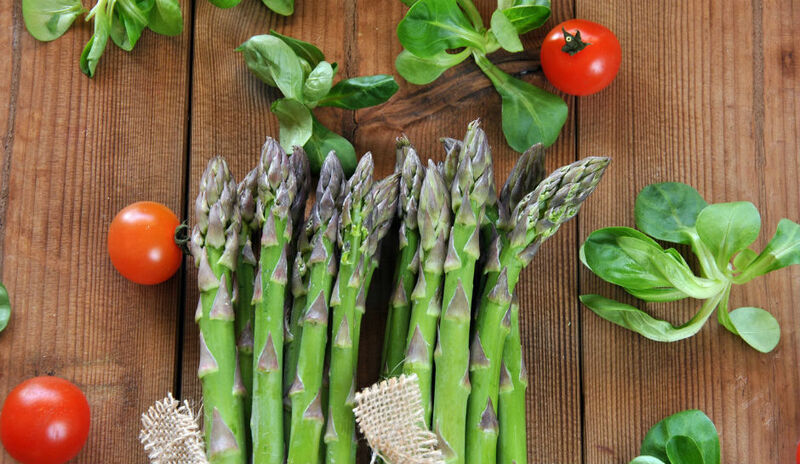 The amino acid asparagine is present in eggs, fish, beef, poultry, legumes, dairy products, soy, seeds, nuts, potatoes, whey, whole grains, and asparagus, Cancer Research UK Cambridge scientists said. A few foods singled out as being low in asparagine — safe to eat — are mostly vegetables and fruits. Baroness Delyth Morgan, the chief executive at Breast Cancer Now, said patients shouldn’t go on drastic diets, or reduced asparagine diets because of this study. Cancer Research UK charity’s head nurse Martin Ledwick recommends. This new study of asparagine diets and the potential spread of breast cancer. titled “Asparagine bioavailability governs metastasis in a model of breast cancer,” is published in the journal Nature.